What is The Epicarno Mod? 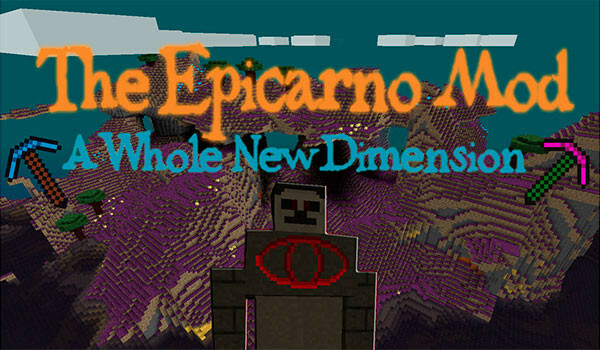 The Epicarno is a mod that presents new adventure in a new dimension. This dimension is inhabited by new animals, odd lost mine and several new monsters and also powerful bosses find inside temples of various kinds of enemies. This new dimension in addition to creatures, contains the usual Minecraft and new minerals that allow us to develop new equipment for your character mineral resources as weapons, tools and objects that offer us the possibility of developing machines.